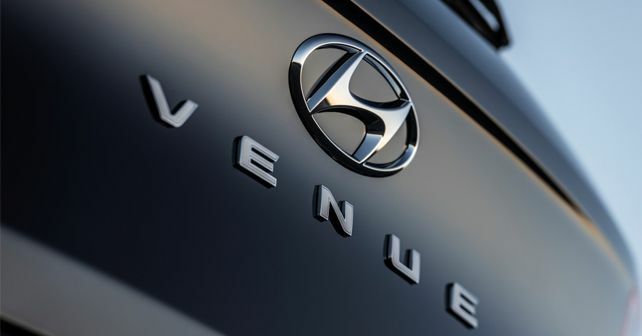 Hyundai's new compact-SUV will be called the Venue. Its global unveil is scheduled to take place simultaneously at the 2019 New York Motor Show and in India on April 17. Expect it to hit the showroom floors in India sometime in May 2019. After teasing their new compact-SUV a week ago, Hyundai India has now revealed the name of its upcoming sub-4m offering. Christened the Venue, it will be Hyundai’s smallest SUV in India and other global markets. Hyundai will unveil the Venue in India as well as at the 2019 New York Motor Show on April 17, simultaneously. We expect a market launch here around May 2019. In the official release, Hyundai says that the reason behind giving it the name ‘Venue’ is that the new SUV will be ‘a place where people want to be seen, or in this case, inside the vehicle.’ In addition to this, the manufacturer claims the new SUV will be trendy, unique and stylish. Not to mention, the South Korean manufacturer is using the word ‘Connected’ quite liberally for its promotion campaign, suggesting that it’ll have a couple of new connectivity features. On the mechanical front, the Venue is expected to share the engine-gearbox options from Hyundai India’s existing parts bin. There will be three powertrain options, including an automatic. The manual versions come powered by 1.4-litre petrol and diesel engines paired to a six-speed gearbox. There'll be a new petrol automatic drivetrain, though, which is going to be powered by a 1.0-litre, turbocharged, three-cylinder engine. It’ll have a seven-speed dual-clutch automatic transmission. In terms of design, features and quality, expect it to be up there with the best and have usual Hyundai standards. Reportedly, it’s also going to have ventilated front seats like the Hyundai Verna among other creature comforts. When launched, the Hyundai Venue will tangle with the likes of the Maruti Suzuki Vitara Brezza, Ford EcoSport, Tata Nexon and the Mahindra XUV300.